The sunflower possesses a single characteristic large inflorescence, and its name comes from the flower’s shape and image, which is often used to capture the sun. The plant has a rough, hairy stem, broad, coarsely toothed, rough leaves and circular flower heads. The plant has many uses. The flower can be used for tea making; the seeds can be refined as cooking oil; sunflower's leaves can be used as cattle feed, while the stems contain a fiber which may be used in paper production. 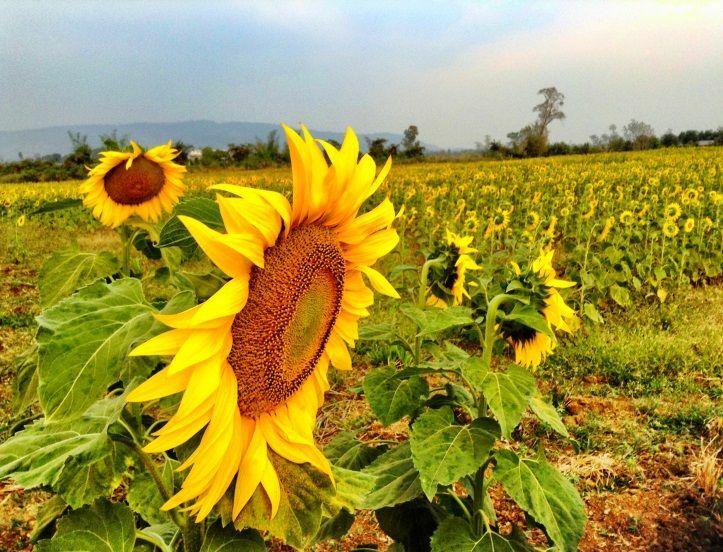 The panoramic sunflower field has become one of Pailin’s most beautiful tourist attractions during December to March when they are full bloom. You will be surrounded by the magnificent and blossoming sunflowers that welcome you to their kingdom. 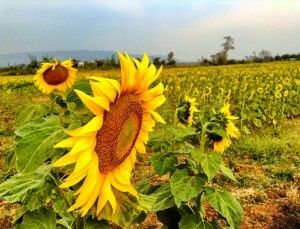 The Sunflower field is located on road 57 a few kilometers before before Pailin town. Due to the nutrient rich soil, the area in and around Pailin in Cambodia is known for its abundant agricultural crops and features many productive pepper farms. 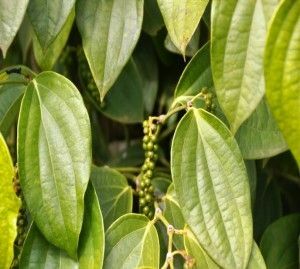 Samlot pepper is well known for its delicious smoky peppery taste and prized regionally for its use in a variety of recipes. There are number of farms near Memoria Palace where you can experience first hand pepper farms and enjoy some fresh picked pepper with your meal. One taste of Samlot pepper and you will want it with every meal. In addition to pepper, there are a number of other interesting and unusual crops being cultivated throughout the area: Longans, Rambutans, Bananas, Peanuts and Cashew Nuts. They are all grown extensively in the area which is noted for its large Durian trees, which are far larger than a normal Durian tree. Pailin coffee is also grown extensively here and is well renowned for its smooth and aromatic taste and is highly sought after both nationally and regionally. Visitors can also purchase roast coffee here at a bargain price. Coffee plantation is very popular with visitors to Pailin. 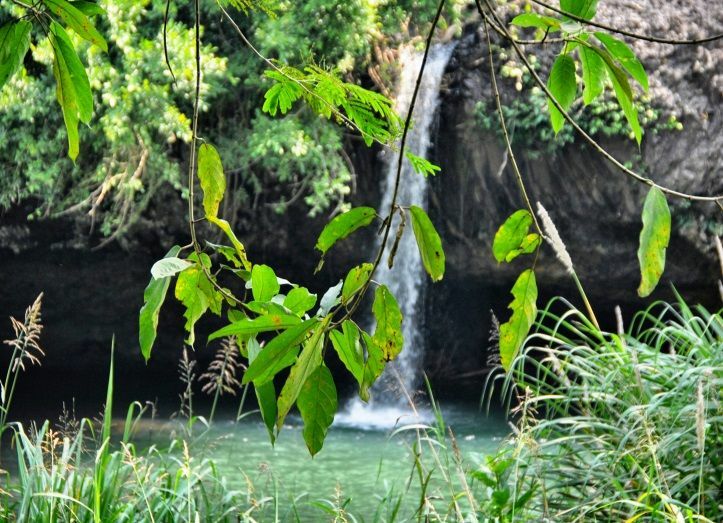 Samlot Waterfall is located in a beautiful natural depression surrounded by lush green vegetation and fills a natural pool filled with crystal clear clean water. Trees, ferns, creepers roots and other vegetation surround and overhang the pool giving the impression of a blanket of vegetation which provides shade and cools the waters. 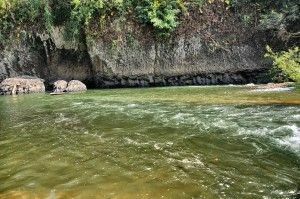 The water is clear clean spring water and provides a refreshing dip after the short trek through the jungle to get here. The waterfall is just located 300 meters walk from the nearby Maddox-Julie-Pitt Foundation Samlot Conservation center. It ensures that its pristine natural beauty is preserved and easy accessible. This center was founded by Angelina Jolie as part of her ongoing efforts to preserve the heritage and beauty of her adopted sons' homeland. We kindly ask you to take great care not to leave any rubbish or waste that would mar this pristine natural environment. The Cardamom Mountains (Kravanh in Khmer) of Koh Kong and Pailin provinces are said to be the most pristine wilderness area remaining in South East Asia. 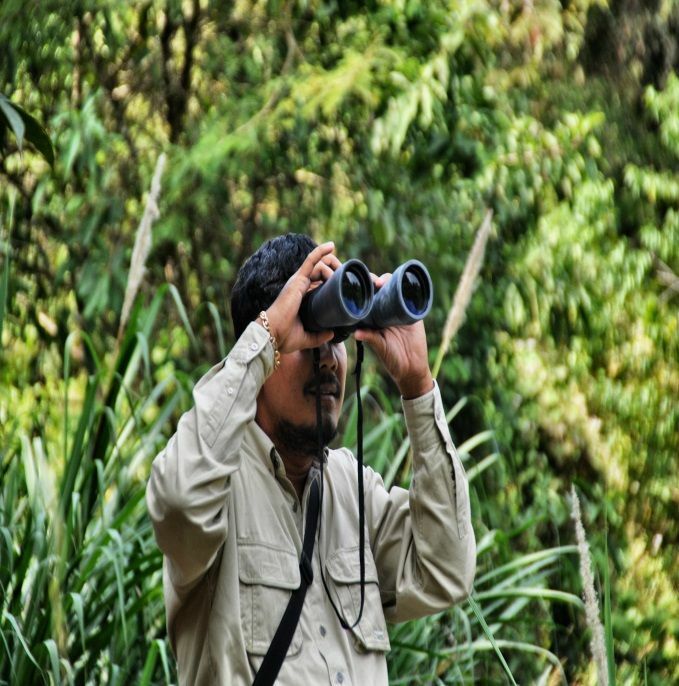 They are a protected area and home to a wide variety of rare and endangered animals. Leopards, wild Boar, Pheasants, Porcupines, Civits, Loris, Honey and Sun Bears, Sambur and other exotic creatures can be found in the forested hills as well as the occasional rare spotting of a Indochinese tiger. It is also said to be home to the largest remaining population of Asian Elephants in South East Asia. Trekking or adventure in the Cardamom Mountains is a great way to see beautiful natural landscape and wildlife that once was abundant throughout Cambodia. It is one of the few remaining areas of Southeast Asia that remains unexploited and unexplored and new species are discovered here regularly. Once under threat of mining and deforestation (thanks to the actions of locals and NGO’s), the area is now flourishing and trekking here is a memorable experience that immerses you into pristine landscapes, exotic wildlife and unspoiled natural beauty. At Memoria we can organize guided tours for you as some sites are difficult to find and it is not recommended to trek too far without an experienced guide. There are many easily accessible sites though and we will be happy to provide you with advice and directions should you wish to visit them unaccompanied. 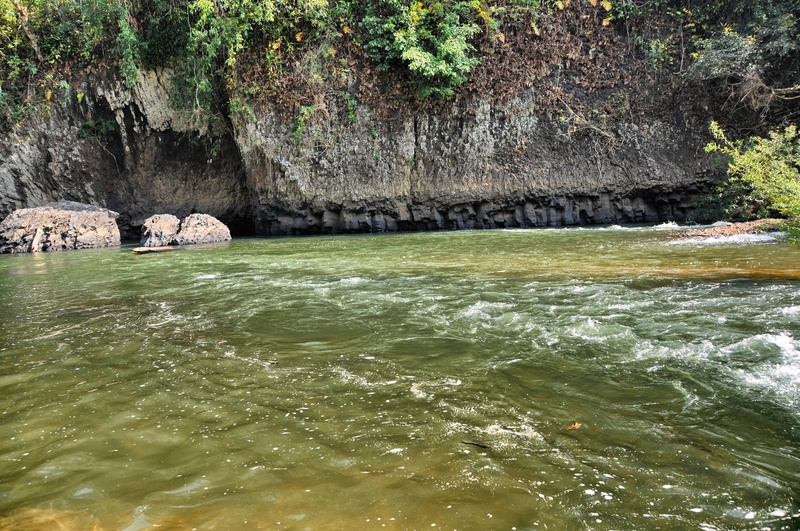 Ba Lang water rapids are beautiful and secluded, free from noise and pollution. It is an ideal spot for a retreat and refreshing swimming. You are likely to see a local resident fishing giant catfish or sometimes if you are lucky you will see otters. 1. Bring long trousers, long sleeve shirts, socks, gloves, torch, insect repellent, sun block, helmet and mountain boots or comfortable walking shoes which are the most important. 2. Do not bring anything that you do not especially need (i.e. expensive watches, jewelry, large sums of cash). You will be carrying your own things. 3. Most of the things you require can be purchased very inexpensively in the local markets. However, please take note that large size walking boots will be difficult to obtain here.